Cover your home in the mesh of a security net. And yea, ye shall catch the errant miscreant with the net like the sea sailors of old, snaggin' evil-gilled fish from the depths that would gladly feat on their eyes. And like those nets, this mesh is made from strong fibers... only it's fiber-optics and... uh... Jeez, I really backed myself into a corner with this seafaring metaphor, didn't I? 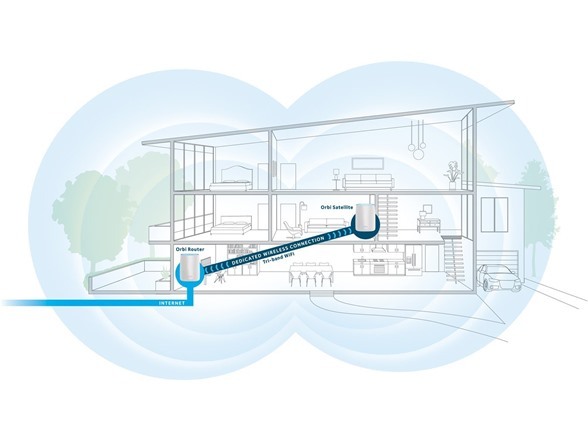 Orbi delivers WiFi the way it should be—fast, reliable WiFi without dead zones and lag. Easy to set up and use, stream with superfast speeds on all your devices. Stream at high quality without buffering. With award-winning tri-band mesh WiFi technology, you always get the fastest internet speeds available. 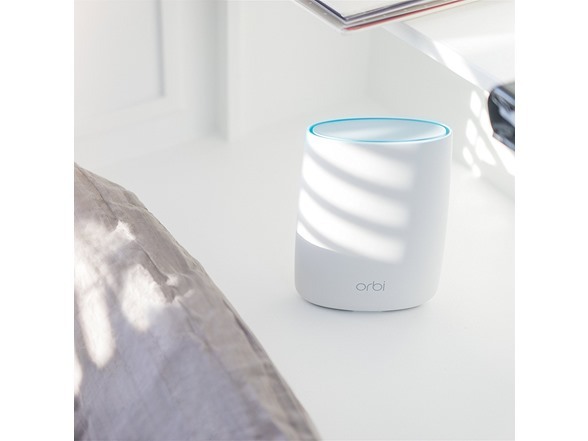 Orbi blankets the whole home with steady WiFi so you can stream wherever you want, without worry. No more running around looking for a stable internet connection. 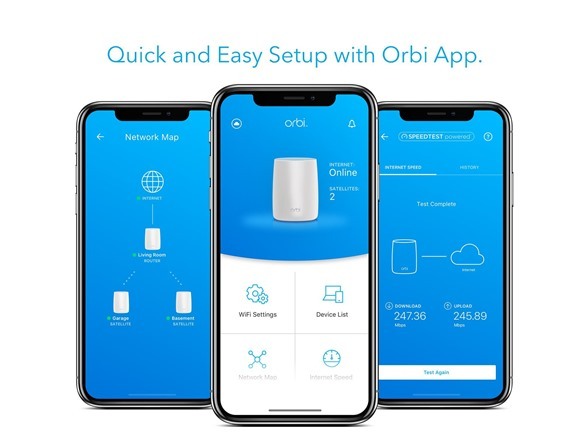 Orbi makes WiFi easy. 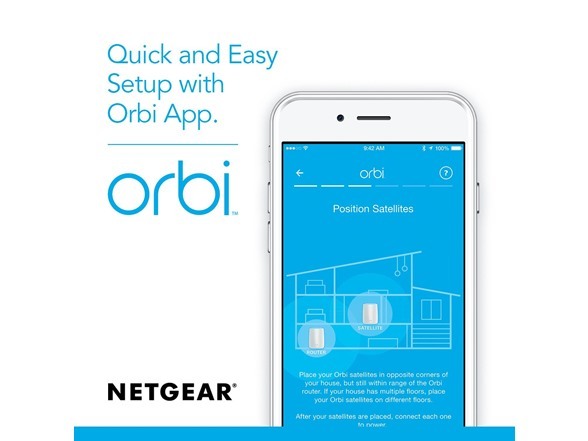 It takes minutes to set up with the Orbi app and already works with major Internet Service Providers so you can enjoy better WiFi sooner. GUEST NETWORK - Easily set up a separate and secure WiFi network for visitors and guests to use; the perfect web gear combo for movie streaming and gaming sessions with friends and family. 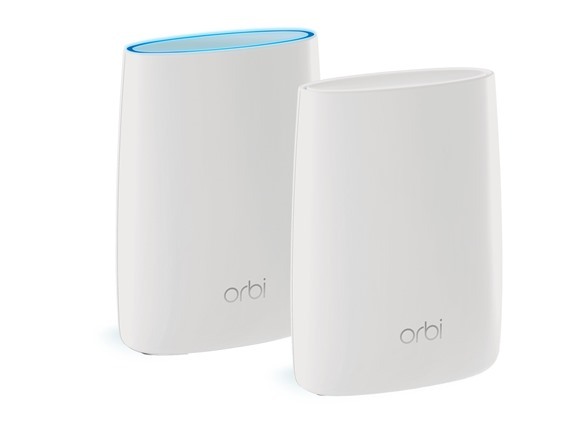 Use the Orbi app or any web browser to create secure whole home WiFi in minutes. No accounts to create or personal information needed to setup.